Upward Dog is an amazing pose with several benefits! It stretches your chest and spine, while strengthening your wrists, arms, and shoulders. By strengthening and opening the upper body and chest, it in turn improves posture. 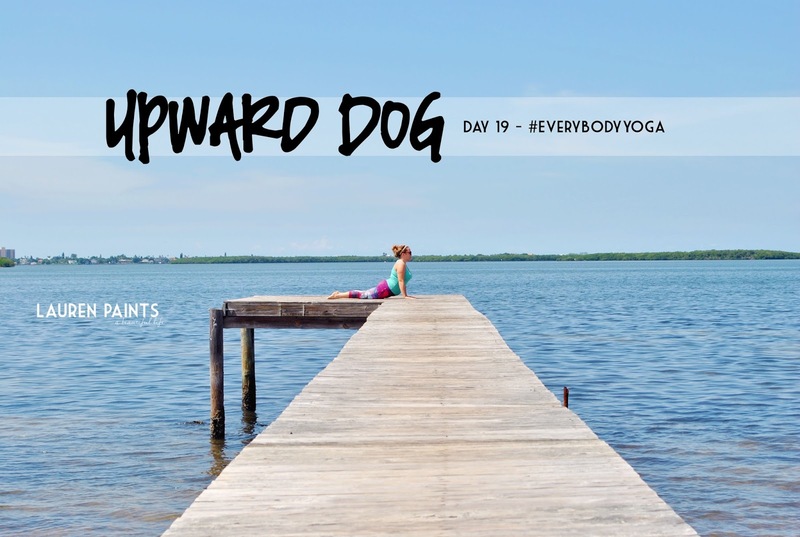 Upward Dog stimulates the abdominal organs and improves your digestion. It also firms the buttocks and thighs - something we all love! The slight back bend energizes and rejuvenates the body while also providing relief from fatigue and mild depression. Such a simple pose does so much for your body, the perfect pose to practice every day! This pose is easy: From a plank, come down on to your knees and untuck your toes. Keeping your arms straight, slowly lower your belly down and forward. Be sure your hands are under your shoulders, drop your shoulders down away from your ears, bring your shoulder blades together from behind, and breath your body forward through your arms.